Attn: Los Angeles area Jeanette MacDonald fans! 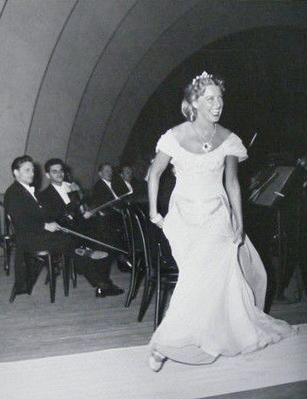 Above: Jeanette MacDonald takes a bow after her Hollywood Bowl recital, September 1948. Friday, February 7 at 7:00 pm in the Alfred Newman Recital Hall (free admission): “Opera Scenes”. The description reads: “The singing actors of the USC Thornton Opera program present an exciting and wide-ranging selection of excerpts from grand opera to operetta featuring music from the work of American legend Jeanette MacDonald”. For more information about this, go to this link. And thanks, Robert, for alerting us!